You can add ginger to many dishes: You can grate it on top of foods or in drinks, sautée it with vegetables, make it into a tasty salad dressing, or bake it into cookies or bread. The recipe ideas are endless. Ginger has health benefits. It's even used as a traditional home remedy for nausea or motion sickness. But, what if you're working on a recipe that calls for ginger, and you don't have any on hand, or you're allergic? Try these substitutes for fresh ginger root, ground ginger, and crystallized ginger. Use 1 tablespoon of fresh ginger for every 1/4 teaspoon of ground ginger called for in your recipe. Grate or mince it finely, so it doesn't overpower your recipe. If you don't have any fresh ginger root, or you're allergic to ginger, use an equal amount of allspice, cardamom, cinnamon, mace, or nutmeg. Pumpkin pie spice is another option to consider. It's typically a blend of ginger, cinnamon, nutmeg, and allspice. These substitutes will change the flavor and color of the dish slightly but will work just fine in a pinch. Working on a bread, cookie, or dessert recipe that calls for ground ginger? Then, stick to allspice, cardamom, cinnamon, mace, nutmeg or pumpkin pie spice as the substitute. Fresh ginger just won't cut it. Ground ginger is much more concentrated in flavor than fresh, so use 1/4 teaspoon of ground ginger for every tablespoon of fresh ginger that your recipe calls for. This is a good substitute if you object to the shape or bite of fresh ginger. Ground ginger has none of that. Another option if you hate that bite: young ginger root. It's much milder in taste. Look for it at an Asian grocery store. 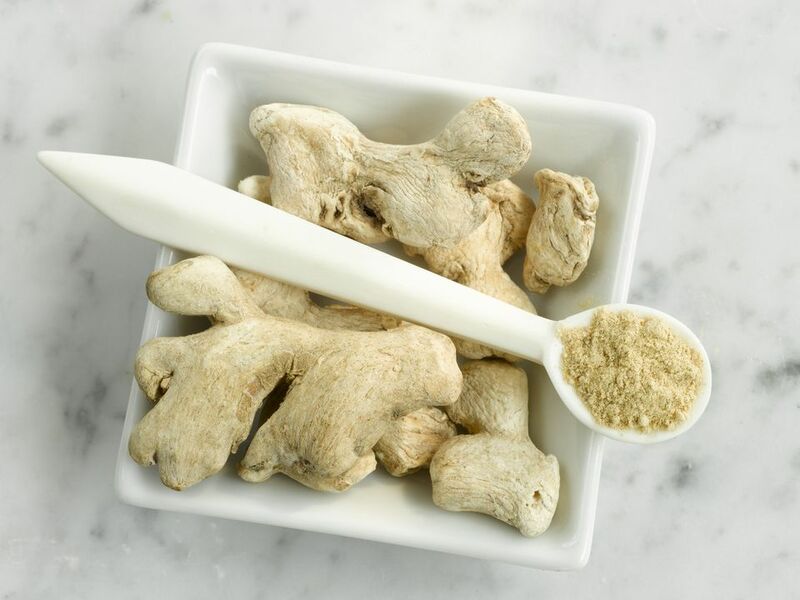 If you're allergic to ginger or you don't have any ground ginger on hand, use 1/4 teaspoon of ground allspice, cardamom, cinnamon, mace, or nutmeg for every tablespoon of fresh ginger called for in the recipe. Crystallized ginger (also known as candied or glace ginger), is fresh ginger that has been cooked in sugar water and rolled in sugar. If you have a recipe that calls for this ingredient, you can substitute 1/8 teaspoon of ground ginger for every tablespoon of crystallized ginger. That works out to 1 teaspoon of ground ginger for every 1/2 cup of crystallized ginger. If your recipe uses crystallized ginger as a garnish, choose something else, or omit it. Ground ginger won’t be a good substitute in this situation. Fresh ginger freezes beautifully. Keep a ginger root in your freezer, and pull it out whenever you need it for a recipe. You don’t even have to thaw it first. Just grate as much as you need, and stick the rest back in the freezer for next time. There are a few tricks for storing ginger properly. You can even ensure that you have ginger on hand when you need it by growing the flowering plant on your windowsill.